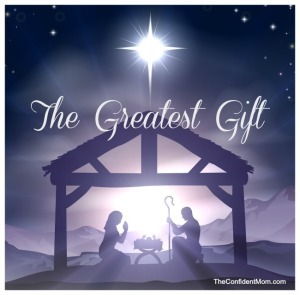 I hope someday – that they’ll remember – The Gift of God’s only Son. Christmas Is A Pagan Holiday – Should We Be Celebrating It? This is a deep topic. I will provide more information over the coming year in preparation for Christmas 2014. I just came through the 4th year of “Waves Of Praise” on Christmas Day. It Was The Lord Who Clearly Asked me to do this. I wondered about it because I have done in-depth studies of, and follow the Feasts. What He Showed me was amazing. 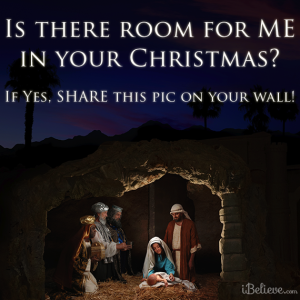 On Christmas, a pagan holiday, people think more about Him and His Birth (even though its not His Birthday,) than any other time except Easter or Passover. People who almost never go to churches pack them on Christmas Eve or Day. Plays, pageants, musicals, and choirs are put on that pull people in to hear about Him, worship Him and praise Him. He Told me that ANY day His people think about Him is a good day. It is a season filled with love and giving, and reaching out to the poor and needy. It is a season people often step outside of themselves and their own little worlds, to remember others. It is a time of the year that donations are at their highest, often helping to carry on the work of God in churches and ministries for the coming year. 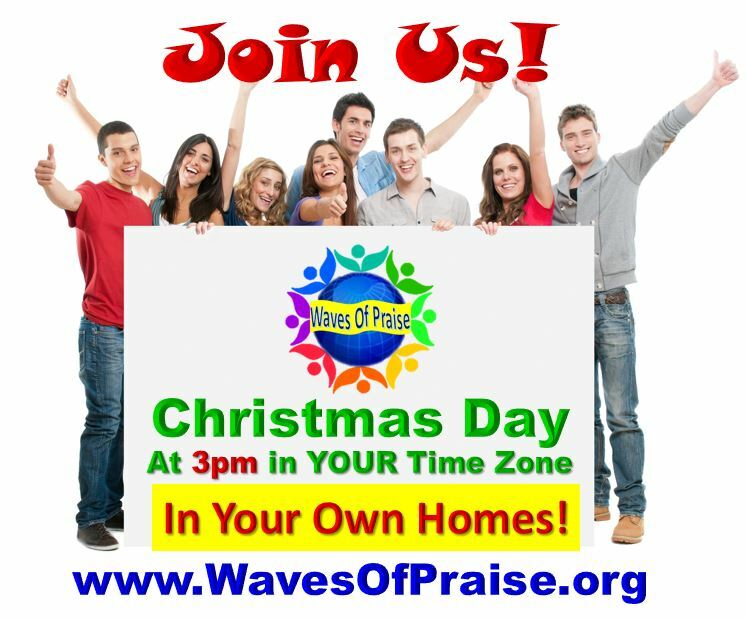 For 24 hours at 3pm in each time zone, people just gathered together for the Waves Of Praise movement – to praise Him, worship Him, and forget commercialism, wrappings, presents and family feuds. Which brings up another thing. 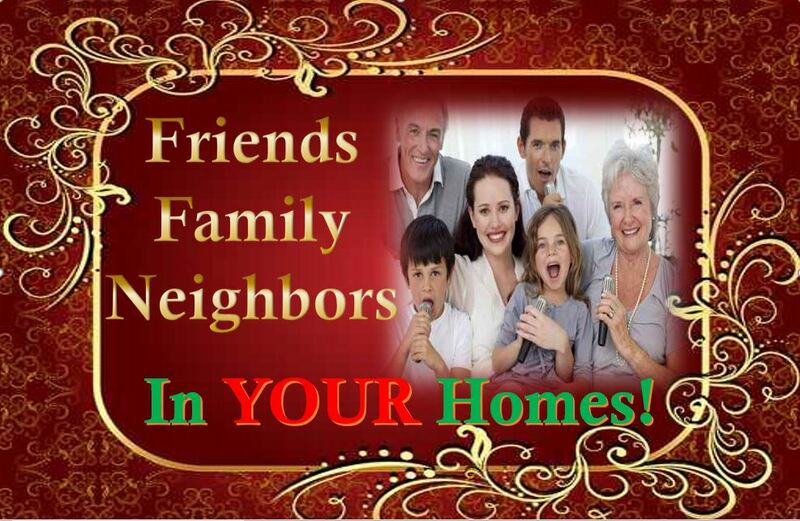 Families are often reunited during the Christmas season, with hearts reaching out past their past hurts. So, how can we say that God isn’t in this? Sounds like people are walking more like Yeshua at this time of year than at any other. But, He Is not about ritualism or legalism. In fact, a few years ago, He Reminded me to purchase my ticket for a Seder meal. I kept thinking I still had time, being caught up in the work He’s Asked me to do. Eventually it was too late, and all Seder meals in this area were completely sold out. I literally was upon my bed weeping and weeping as if I’d lost my Best Friend. 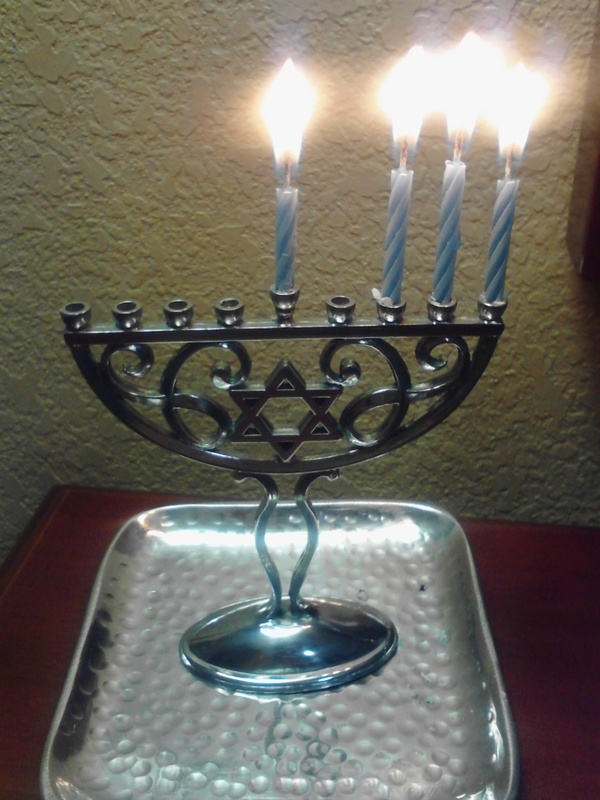 I understand the importance of keeping the Feasts and the inherent blessings. He Came to me, and Said, “I Was Told you were weeping. You still have time to go to the store and get the things you need to celebrate a Seder meal at home. So, I quickly ran to the store. Step by step, He Took the lengthy Seder service and Collapsed it into 30-40 minutes, covering all the basic points. ” He Did away with legalism, and ritualism and Helped me to give Him Honor. I will never forget this. Relationship with HIM is and always will be more important than dates on a calendar – pagan or God’s Calendar. It is all about honoring Him, and praising Him. 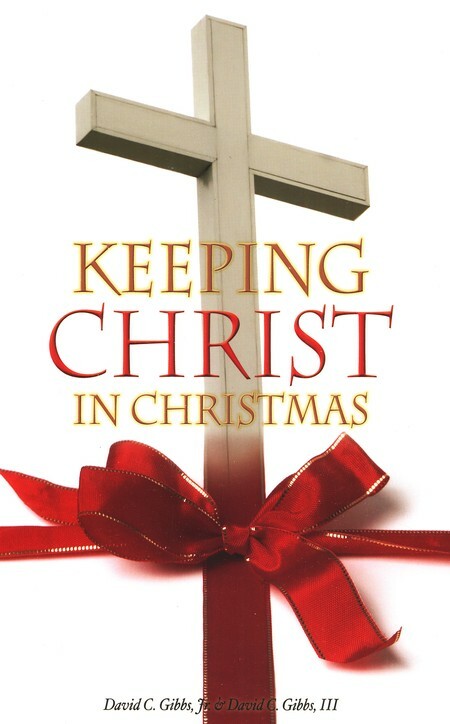 At Christmas, people even get bold about “making sure Christ is in Christmas, ” and “Merry Christmas” instead of “Happy Holidays.” This cements it in people that they need to stand up for their belief in Him, and perhaps it’s a form of training for these end times. US CENTRAL TIME ZONE, (that’s me!) Cancun & Acapulco, El Salvador & More! Cancun & Acapulco Mexico, El Salvador, Costa Rica +More! AND GIVE HIM THE GLORY, HONOR AND PRAISE THAT IS DUE! 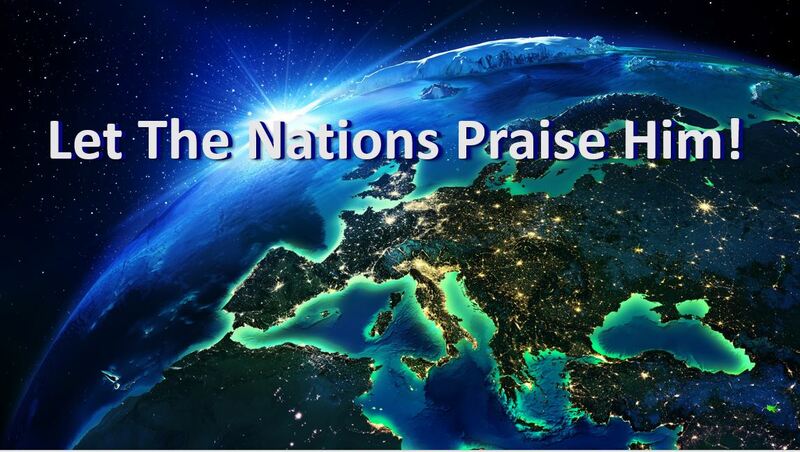 Join the Praise THAT’S BEEN SPREADING ACROSS THE EARTH! 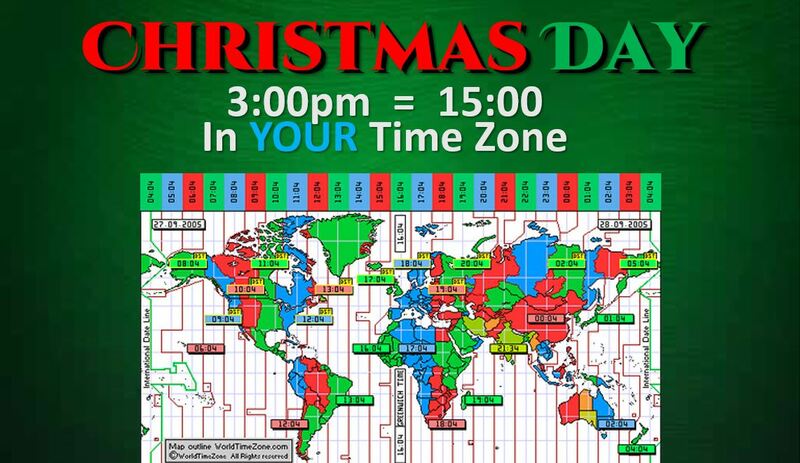 It’s HOUR – 6on the 24 time zones map! Eastern United States! Haiti! Ottawa, Quebec, Canada! Let’s HEAR YOUR PRAISE! It’s HOUR -4 on the 24 time zones map! South America! Let Your Praises Go Up To The Heavens! 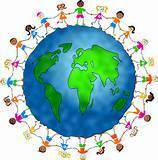 Suriname, Argentina, Brazil, French Guiana, Uruguay, Denmark! It’s HOUR -3 on the 24 time zones map! Eastern Brazil! It’s YOUR Turn! 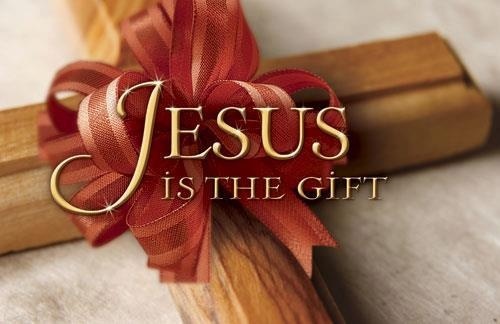 Time to give The Lord worship, honor, glory and praise! It’s HOUR -2 on the 24 time zones map! JERUSALEM! JERUSALEM! ARISE AND PRAISE THE LORD! ARISE AND PRAISE THE LORD! It’s YOUR TURN for the WAVES OF PRAISE! 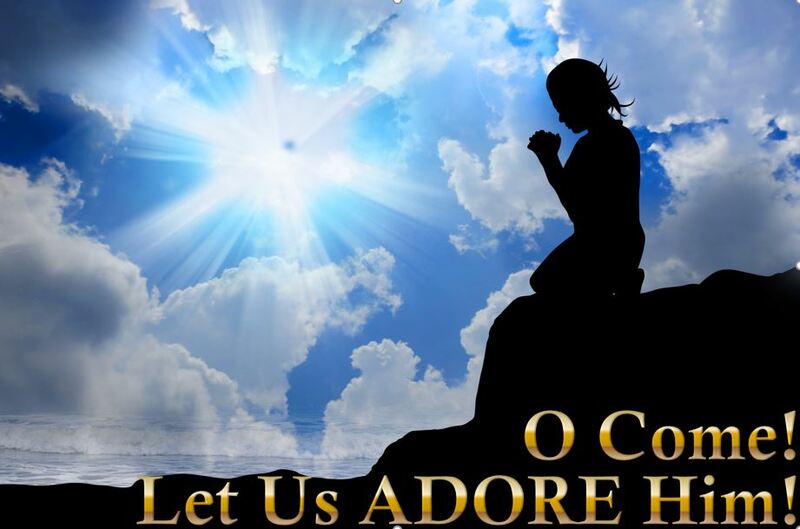 Psalm 147:12 Praise the Lord, O Jerusalem; praise thy God, O Zion. Psalm 135:21 Blessed be the Lord out of Zion, which dwelleth at Jerusalem. Praise ye the Lord. 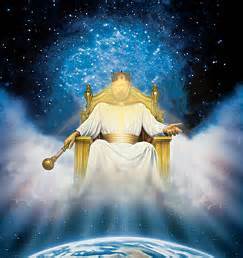 Psalm 106:48 Blessed be the Lord God of Israel from everlasting to everlasting: and let all the people say, Amen. Praise ye the Lord. SOUTH AFRICA, LITHUANIA, LATVIA, GREECE! Praise ye The LORD! EGYPT, FINLAND, ZIMBABWE! RWANDA, MOLDOVA, MALAWI, UKRAINE, LEBANON! Praise The Lord! Give HIM the Glory and the Honor that is DUE Him! We are at hour +2 on this map. It’s BEGUN! 24 Hours of Continual Praise, Rising to Heaven in Wave after Wave! THE WAVES OF PRAISE HAS BEGUN! 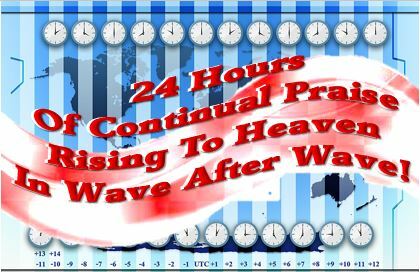 24 hours of continual praise, rising to Heaven in Wave after Wave. IT’S 3PM IN CHRISTCHURCH, NEW ZEALAND! PRAISE THE LORD! Watch the waves at: http://24timezones.com/ Click on “World Time Map” when the site opens.